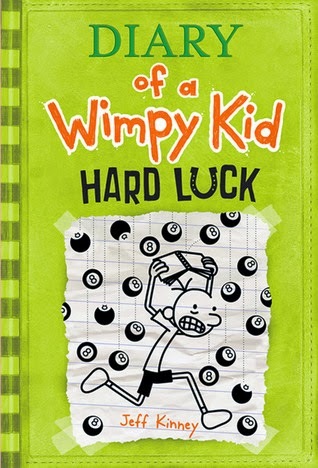 Greg Heffley and his family and friends are back in Diary of a Wimpy Kid Book 8, the latest installment in the #1 bestselling series by Jeff Kinney and one of the most anticipated books of 2013. A global phenomenon, the Diary of a Wimpy Kid series has more than 85 million books in print around the world. It's Diary of A Wimpy Kid, so of course it's amusing. Greg isn't getting used to no Rodney in his life and being friendless. The book is different because usually the two are together for tales - here we get him without the friend, trying different things, thinking about family get togethers (cute stuff), trying out a new club at the school, etc. It's better than the last one, although not as good at the first ones. Do you have trouble selecting a book and then sticking with it? Do you start a book, read a few pages, and then put it back? Do you have to read for a set amount of time each night and can't seem to find a book you like? If you answered yes to any of these questions then The School Is A Nightmare Series might be right for you. The books are written with you in mind. They're fast paced, have quick chapters (we promise), and are shorter than the average book (you're welcome). 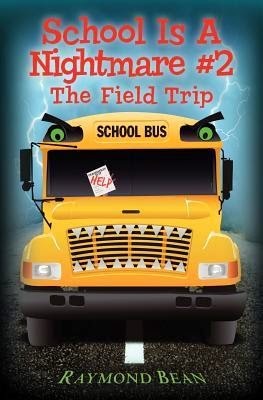 Book #2, The Field Trip is a quick and fun read. Give it a try. It will be over before you know it. Justin's first week of school was a complete nightmare, and he's thankful it's over. He may not be a fan of school, but he's a huge fan of field trips. It's finally the day of the first school trip of the year. All week he's been looking forward to pumping his fist so truckers will honk their horns, sneaking loads of candy, and having a fun day off. It's only the second week of school, but he's already exhausted and needs a break. Unfortunately for him, his day off isn't exactly what he had in mind. He's bitten by a snake, attacked by bees, and blamed for making the whole grade late. Even worse, he's sent to the hospital and may not even get a chance to finish the trip with the rest of the kids. It was supposed to be the perfect trip, but it was a total nightmare. A Children's ebook I had on my kindle. Kids should love this, mainly boys, although girls may. It's written simply but there's cute irony of life that adults would recognize. The first half is better than the second, which ends up in a rather silly coincidence that's common for kid's TV shows and stories. All characters are likeable over all - the story isn't complex at all, but the author adds a lot of stuff happening to the protagonist, most of it amusing. Something weird is happening in Fever Swamp. Something really horrible. It started with the strange howling at night. Then there was the rabbit, torn to shreds. Everyone thinks Grady's new dog is responsible. After all, he looks just like a wolf. And he seems a little on the wild side. But Grady knows his dog is just a regular old dog. And most dogs don't howl at the moon. Or disappear at midnight. Or change into terrifying creatures when the moon is full. Or do they? 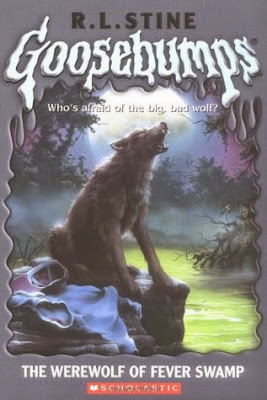 One of the better goosebumps stories, mainly because of the ending. Dark for this sort of age group, it wasn't as cheesy as some of the others. Kids who like this series and type should have no problem getting into it and enjoying it. Adam and his friends have found a strange toy. It is like a windup clock, and also a scary doll. While playing with it, they suddenly find themselves in another land, in a different time. Pretty soon they are having all kinds of exciting adventures. But what they don't know is that every time they change something in the past, the present also changes. Another great addition to the oldie children's series from Christopher Pike. The man obviously loves science fiction, so he dabbles with time travel here. 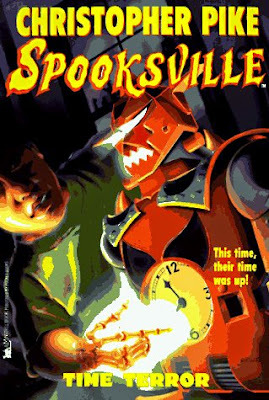 Not just that, though, but toward the origins of the town Spooksville by meeting its founders. 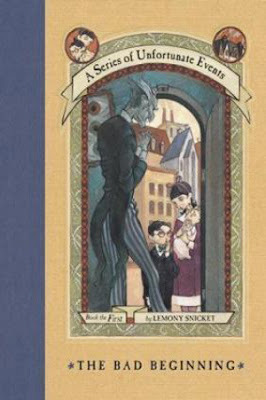 Not as funny as a lot of the other books (it's cute - and appropriate - that Sally will become known as 'the evil one' because of Cindy's diary), but this book did stand out since the ending had a permanent surprise and was actually decently sad/depressing. I didn't know what to expect coming into this one. I've heard a lot about the series, of course, and everything from the cover to the name enchants and drew me in. The style of reading was simple but interesting, with lines boasting ironic humor. The dialogue is fine and the characters - even if a bit black and white - charming. Sometimes the teaching of vocabulary distracted, but is useful for the young reader and a different touch in writing that intrigued at the same time it confounded. Since I've collected several of these, I'm happy I enjoyed the first tale enough to continue.